Jet streams. Computer artwork showing the paths of the jet streams around the globe. Jet streams are fast flowing high-altitude narrow air currents that circle the Earth. 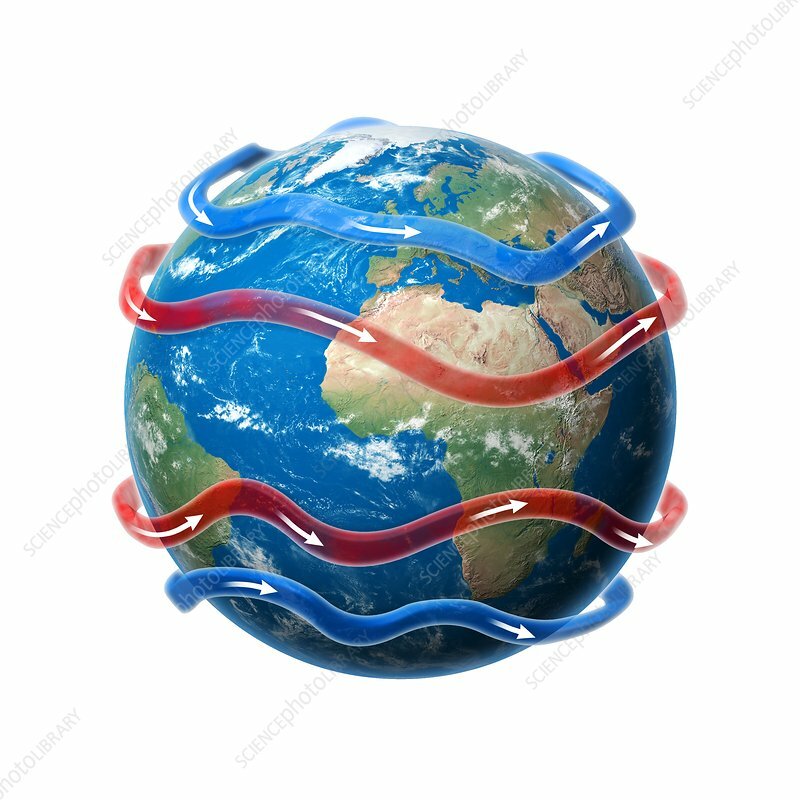 The major ones on Earth are the polar jet stream (7-12 km altitude, blue) and the subtropical jet stream (10-16 km altitude, red), which occur in both hemispheres.